"Kathy Healy was simply the best Realtor we've ever worked with. She sold our home in just a few days. She is an exceptionally good communicator and kept us informed every step of the way. She is a true professional and the fact that she is down to earth and practical were welcome assets as well! We would sincerely and enthusiastically recommend her to anyone in need of a Realtor. This level of care is rare in business today." "Kathy Healy was exactly the right person to help us sell our home. She is extremely knowledgeable about all aspects of the home selling and buying process, and has extensive knowledge of the local market. She saw to it that our sale was completed smoothly and on schedule. We would definitely use her services again." "From the very first contact, Kathy displayed extreme professionalism, in-depth knowledge of the area, and most of all an open and inviting relationship. Kathy was truly a pleasure to work with and our family is so grateful for all of her hard work. We highly recommend Kathy and would welcome the opportunity to work with her again." "Kathy is very professional and honest when working with you. She helped us through the first-time home buying process and all of our questions were answered in a timely and professional manner. We felt at ease working with her during the home buying process." "Kathy was courageous and professional. She demonstrated extensive knowledge of the market and the area. For example, our home was previously on the market for two months with little to no interest. She completed a market analysis, reviewed it with us (a very honest approach). We trusted her and signed with her and Remax. Three days later we had a contract on our home. My husband and I were very pleased." "Kathy already had a prospective buyer when we listed. The house sold to that person within a week. Kathy handled all that needed to be done for us since we did not live in town. We were very satisfied with the process!" "Kathy's knowledge of the area was very helpful. I cannot impress upon buyers the importance of working with an agent who has a working knowledge of the specific area they are looking to buy. Kathy grew up in the Aurora area, lives and works here. If you are looking for a home in Aurora Kathy will help you find the right house for your family." "Kathy was by far the most professional Agent we have used and we will always refer others to her as well as use her as our agent in the future." "Kathy is very detail oriented and professional. She goes out of her way to be of assistance and is very pleasant to work with. It is almost like having a member of the family helping you." "Working with Kathy Healy has been yet again another great experience. I worked with Kathy on my last two home purchases and will be working with her on my next. I would recommend her to anyone and everyone looking for their next home purchase." "Kathy is great! Very patient, friendly and professional!" "Kathy went above and beyond any expectations we had. We genuinely feel at home every day we wake up, and we are very glad we walked into Kathy's office that day." "I know first hand hearing from my seller's representation that the only reason my offer was accepted out of 8 offers in two days on the property I wanted - was because of Kathy. Her guidance, professionalism, and caring heart is what makes her amazing at helping people to find a place they can call home." "Kathy showed a lot of patience. We had unusual needs and she was always willing to show us anything we asked about. Kathy was never pushy or high pressure. I felt I had plenty of time to think." "When we get ready to sell our house, Kathy will be the one we will call!" "We loved Kathy and will recommend her to anyone that will listen!!" "Kathy did a great job. We would recommend her to our friends." "I would definitely use Kathy Healy as my agent again. Kathy communicated everything well and was very professional." "A 1,000 thanks to you for all of your wonderful help. It was so great knowing that you had our best interest in mind. The house is wonderful." "Kathy did a great job and was very patient with us, as we took a long time to find the right house. We hope to work with Kathy again." "Kathy was very patient with me throughout the process. She responded in a very timely manner via phone and text, which made me feel like she cared about my search." "Kathy has always been a great asset to me - very professional and always on top of things!" "Kathy was informative and a pleasure to work with." "Kathy did a great job. She was very patient with us when we were looking for our new hosue and then decided to build a new house." "Kathy was pleasant to work with, knowledgeable, and did an excellent job." "Kathy was correct in pricing, we listened to her, she knows what she is doing. I would call her again when the time comes." "We definitely would use or recommend Kathy! She is always honest and professional." "Kathy's service was excellent. We sold our house ahead of schedule." "Kathy is first class; top notch. She knows the market and gave me excellent advice. Best agent I have ever dealth with!" "Kathy went so far above and beyond anything we might have expected. It was a pleasure to work with her. She took all the stress out of what might have been a difficult process." "I was completely satisfied from our initial meeting all the way to the closing. I felt we were in good hands." "Kathy is so amazing. She is professional and informative while keeping us comfortable with all major decisions." "I would certainly want Kathy Healy again. She was very sharp, professional, and a pleasure to work with. She knows the community and the market." "I was very pleased with Kathy's communication and professionalism. Our family is grateful." "Kathy was very kind and caring to me. I think very highly of her!" "Kathy is the best and so very professional!" "I was told that Kathy was the best, and they were right! She kept a positive attitude and really took care of things for us as we went through the whole process." "There is nothing Kathy Healy could have done better! She is excellent! She helped our dreams come true!" "Kathy was very responsive to my needs and did an excellent job of advising me and keeping me informed." Kathy was excellent to work with. She did a very thorough marketing presentation with solid comparables. Kathy was available throughout the selling process and everything was executed in a timely manner." "Top score in all categories. Kathy helped us out with everything we neeeded." "Kathy was terrific. Not ony because she got it done for us - but she really kept us up to date." "Kathy helped us to price the house just right. We had many showings. Kathy kept us up to date and was very professional, helpful, and made everything easy for us!" "We will use Kathy again, she is always available and responsive to questions and needs." "Kathy was outstanding! Very knowledgeable and professional." "Nothing could have been handled better. Kathy Healy was excellent. I would recommend her to my friends and family." "Kathy was great to work with! She kept me updated on everything. She was professional, kind, courteous, and knowledgeable." "Kathy was extremely helpful and accomodating. She understood my situation and worked well with me." "The amount and quality of advertising was very good." "She surpassed all of our expectations!" "Kathy Healy went above and beyond her duties to help us both. With our different schedules, she still was able to sell our house and find a house for us." 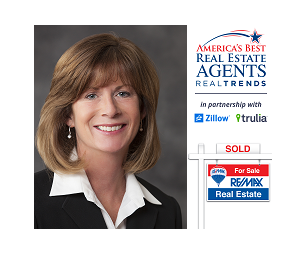 "Kathy went above and beyond the relationship of a real estate agent. She truly appeared to care about what was best for me and my wife." "She was patient and understood that I was really looking for the perfect place." "Negotiations were always handled so that my best interests were protected." "Kathy did a good job of helping the closing process go smoothly." "Kathy consistently advised me to competitively price my property."